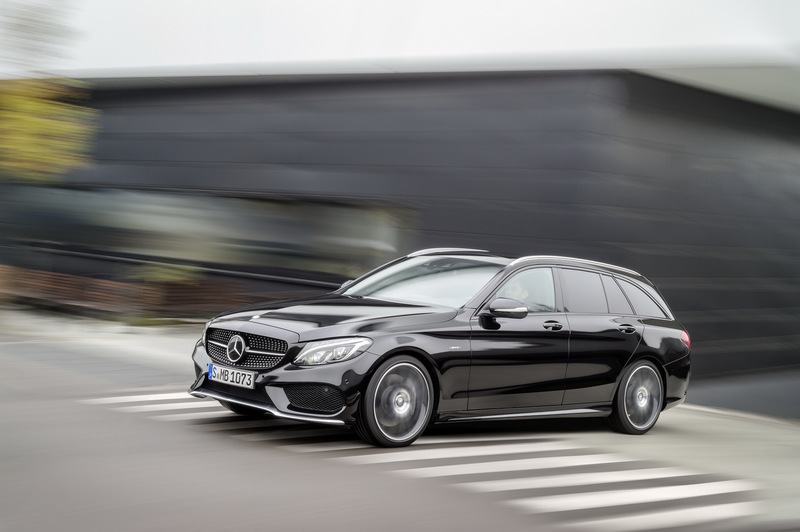 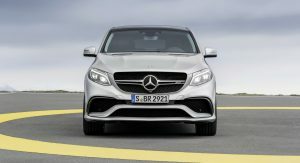 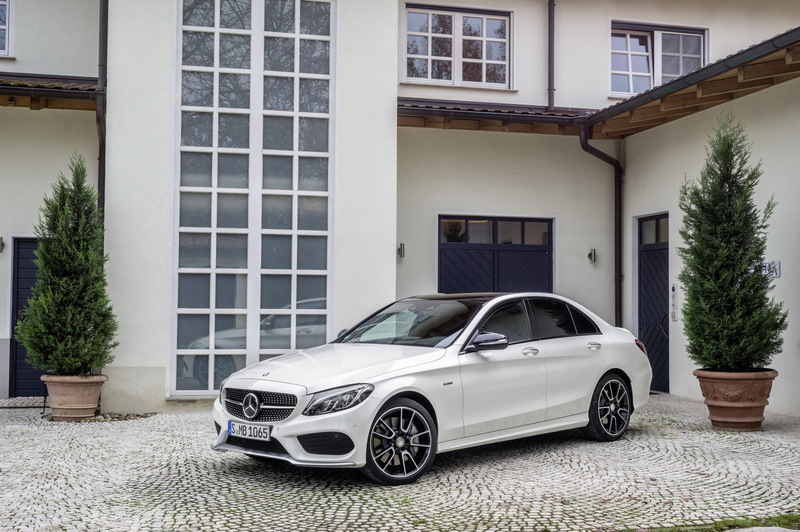 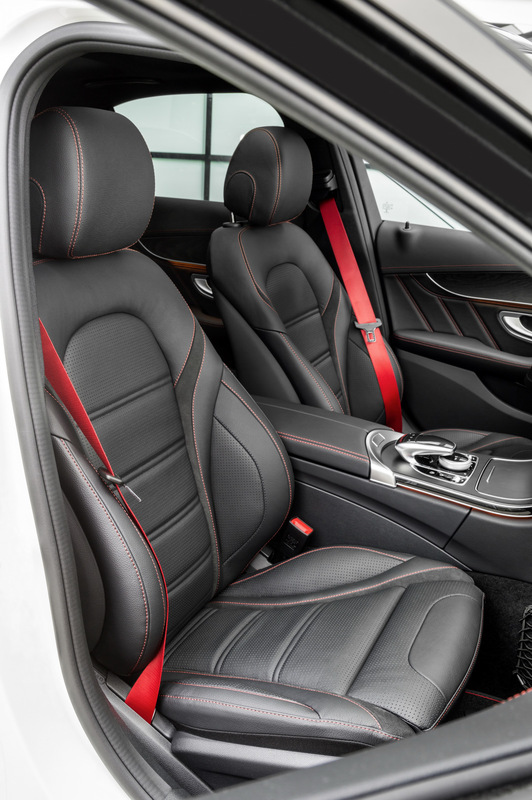 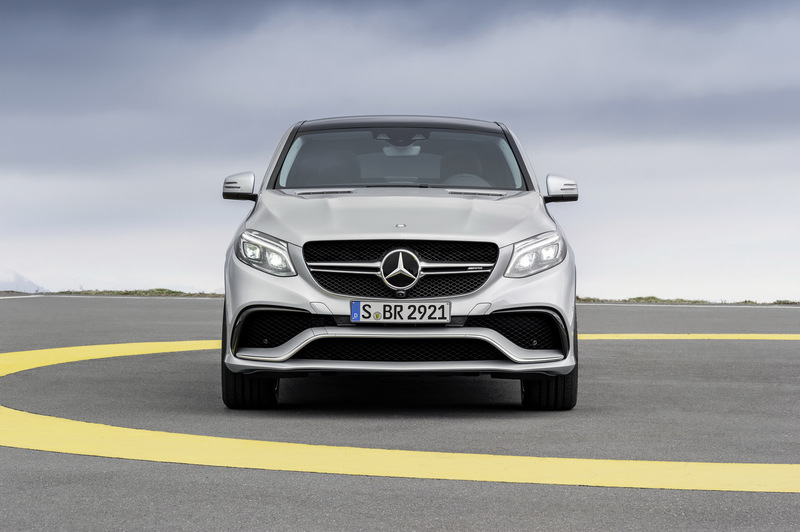 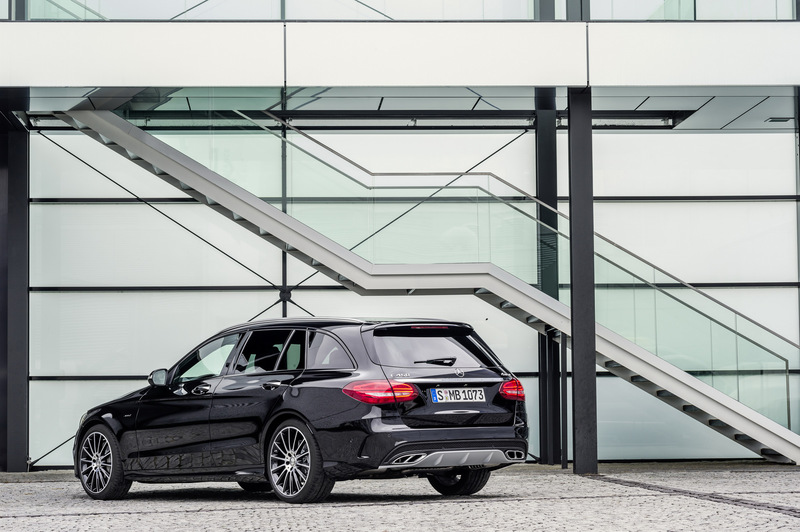 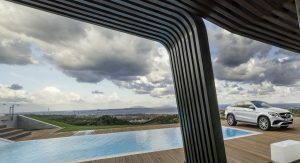 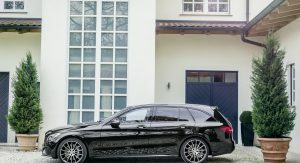 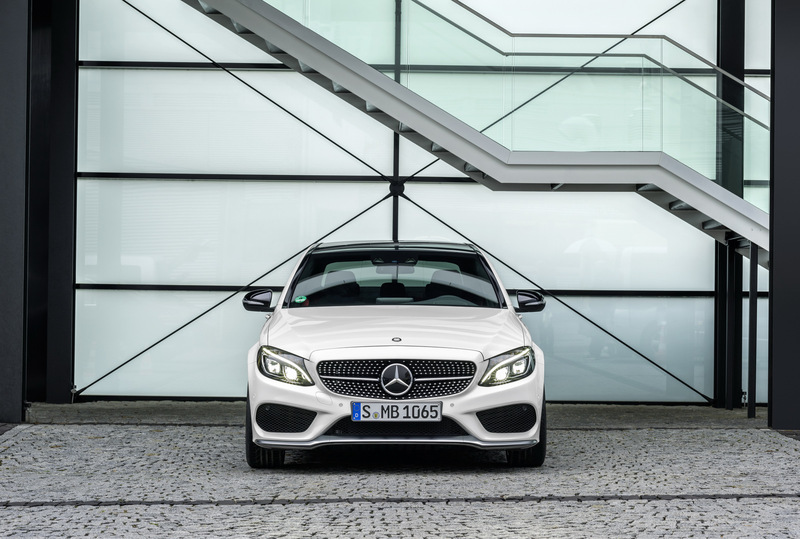 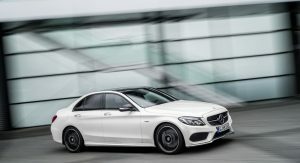 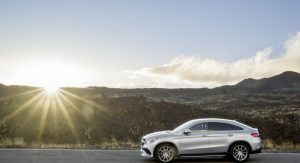 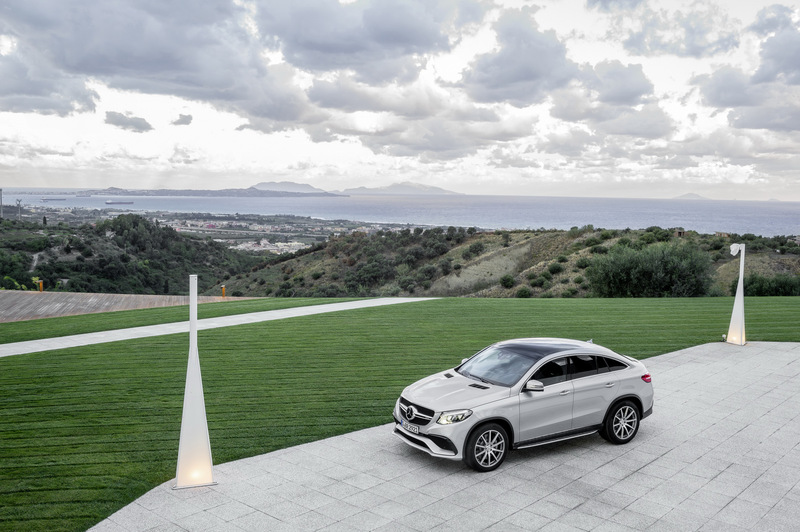 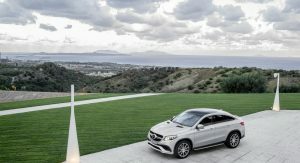 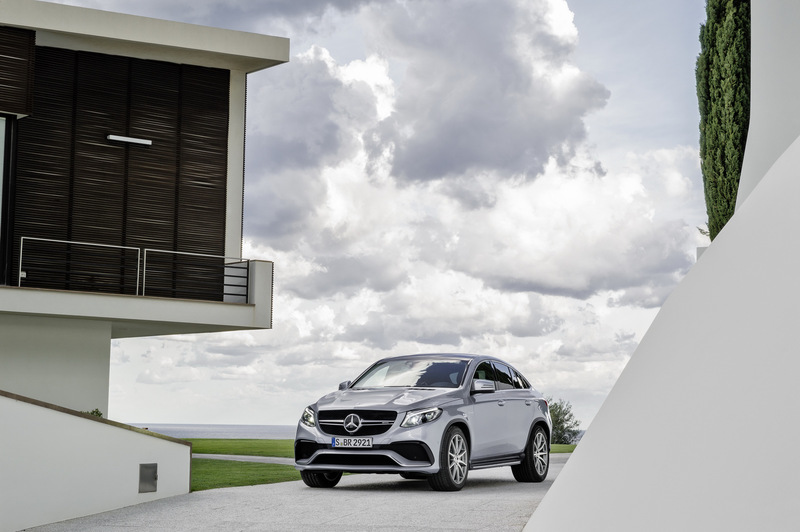 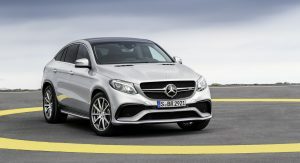 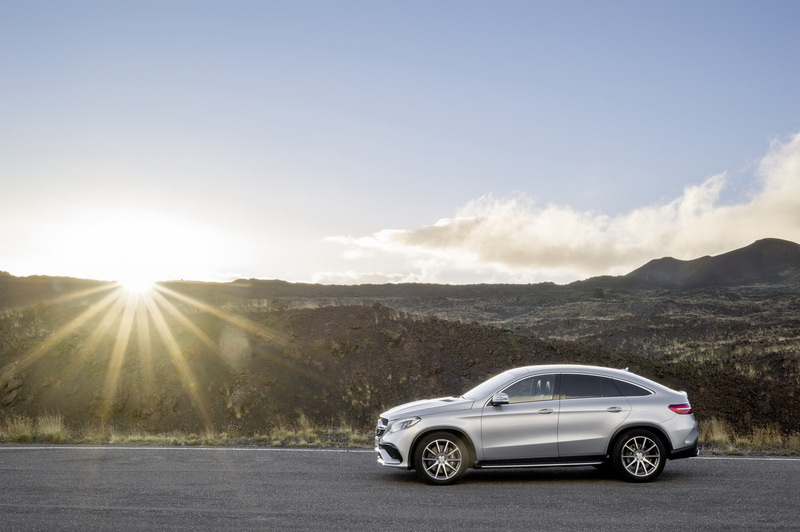 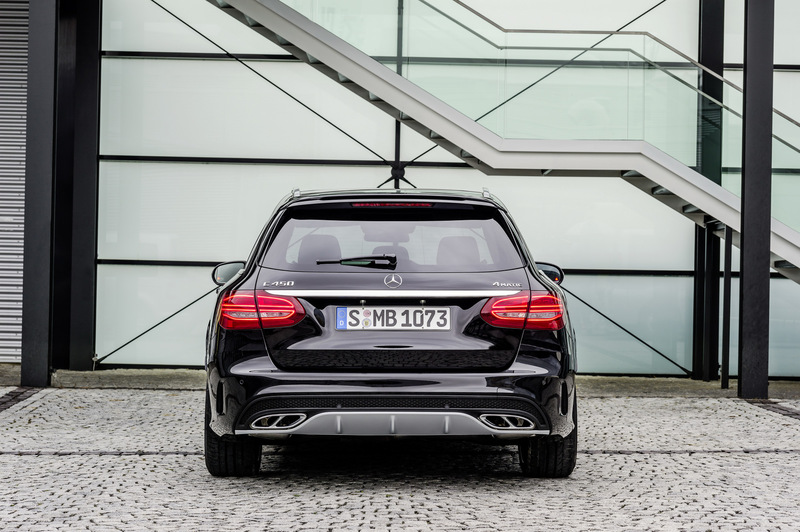 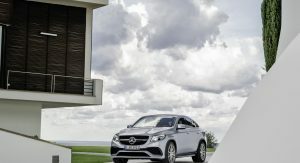 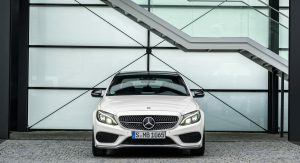 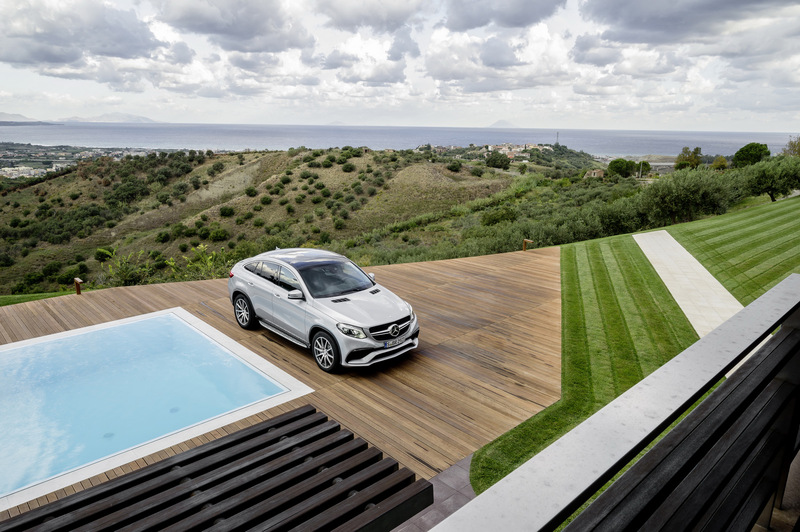 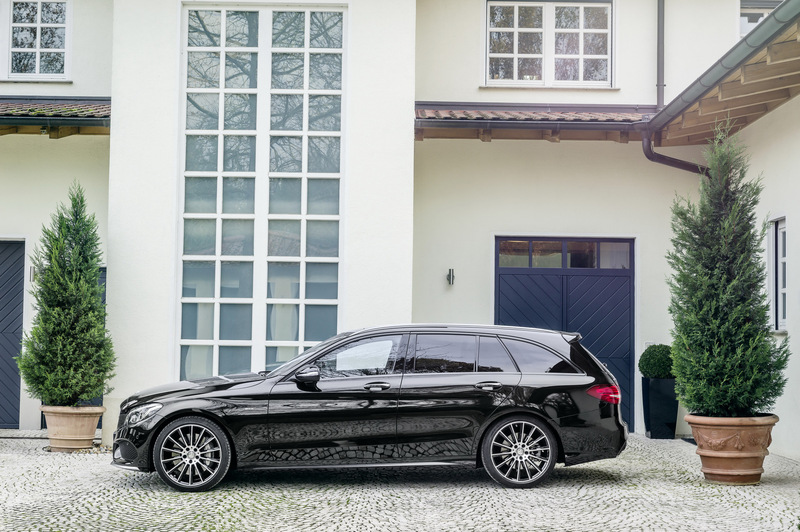 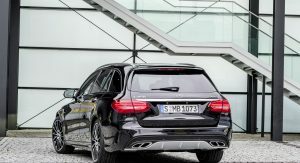 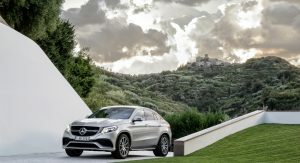 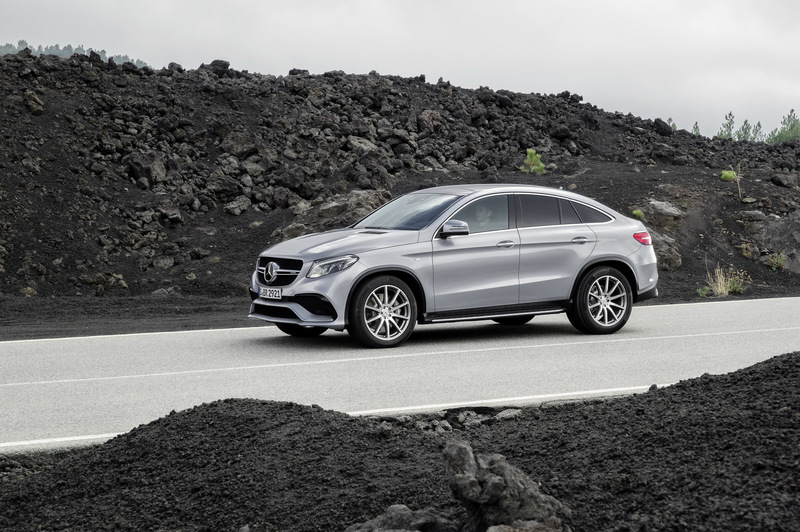 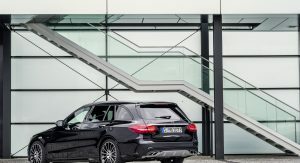 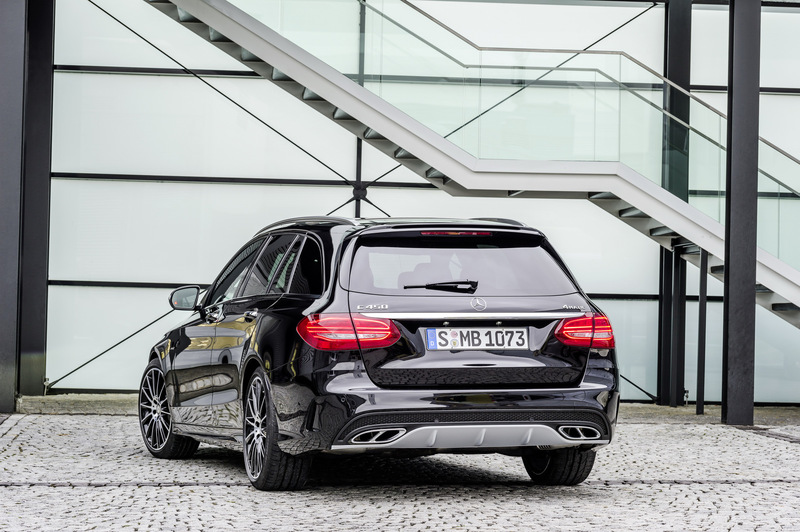 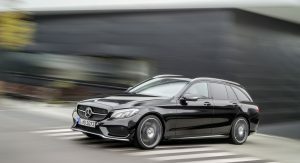 Mercedes-Benz has released new photos of the newest family members sporting the AMG moniker: the C450 AMG Sport sedan and estate and the GLE 63 Coupe SUV. 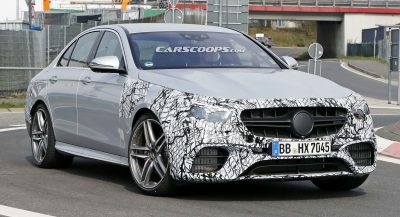 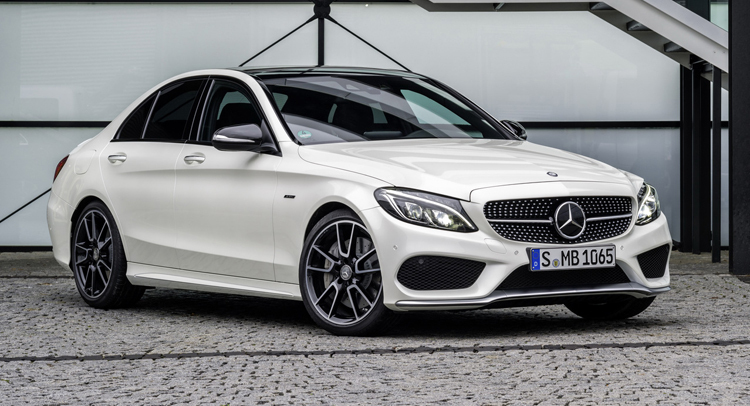 While the former models are bridging the gap between Mercedes’ regular C-Class versions and the C 63, the latter is a full-blown AMG model. 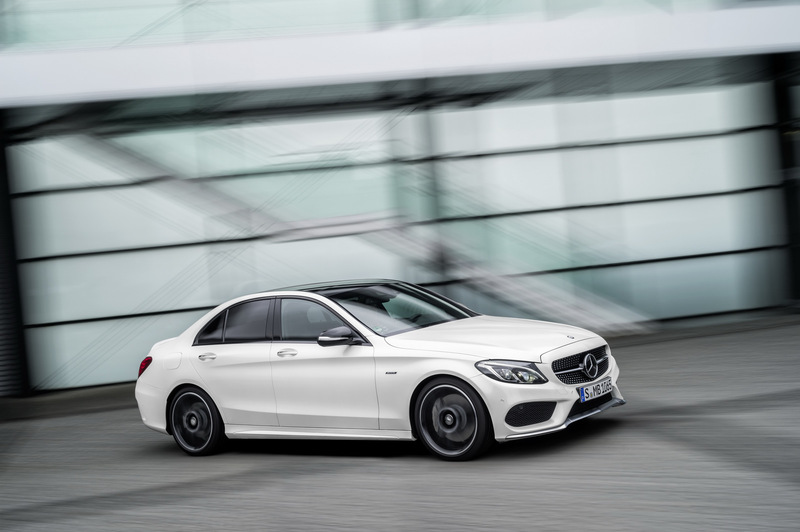 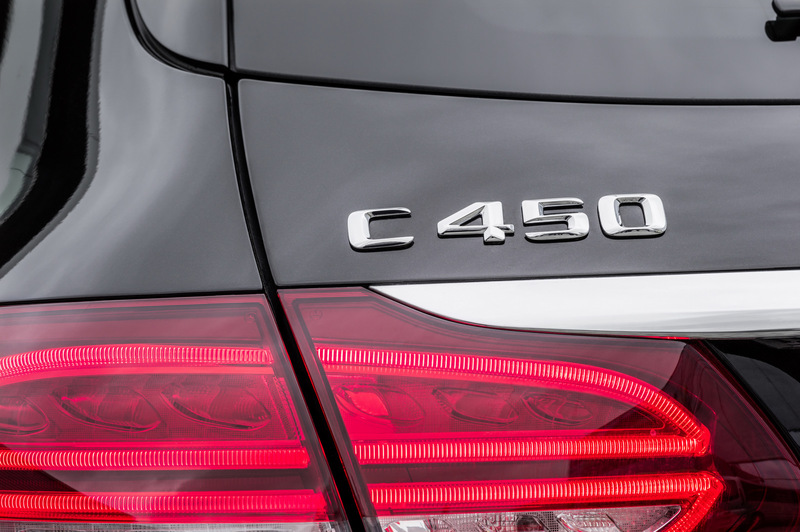 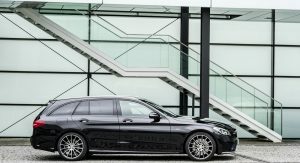 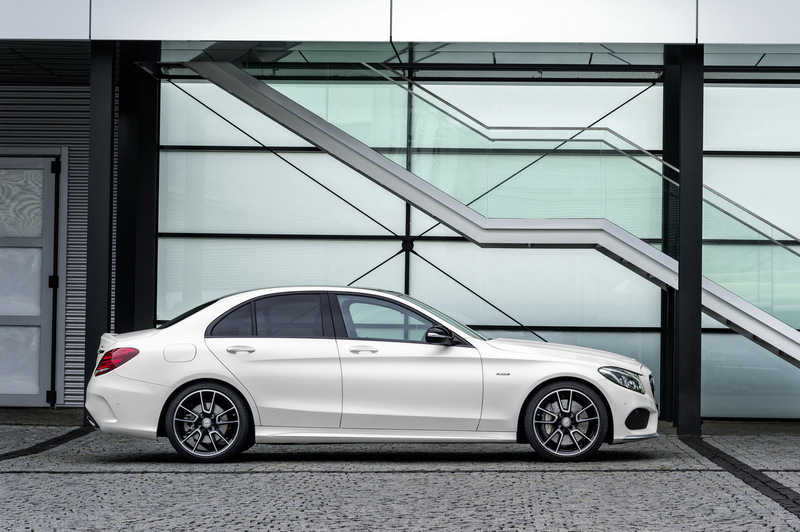 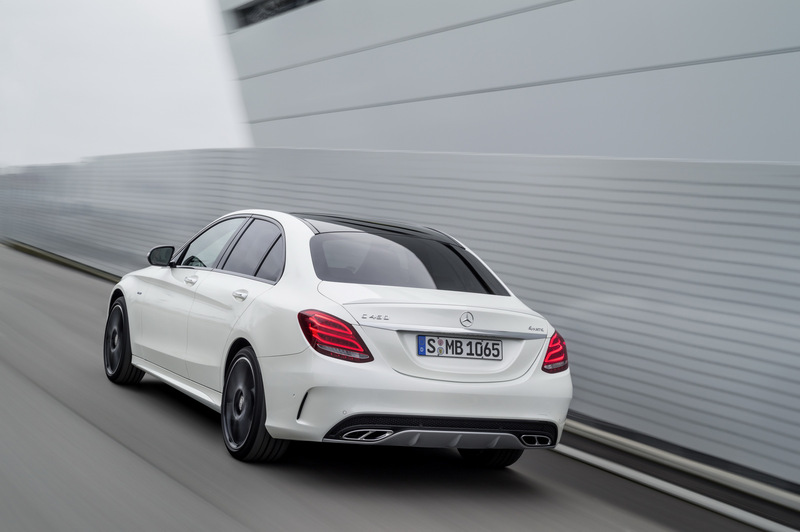 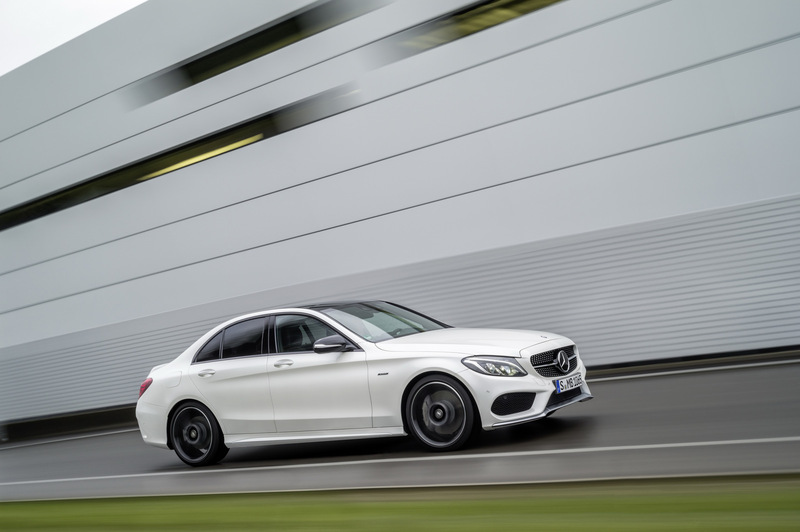 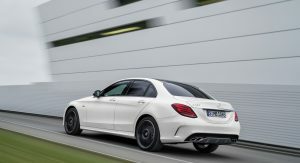 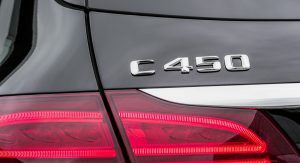 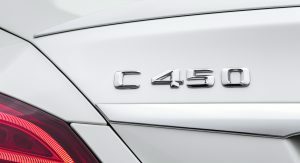 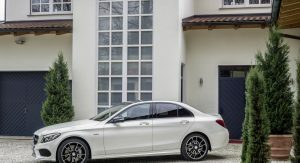 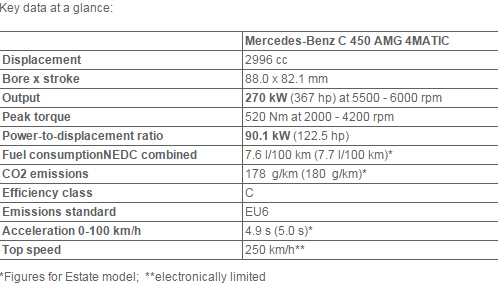 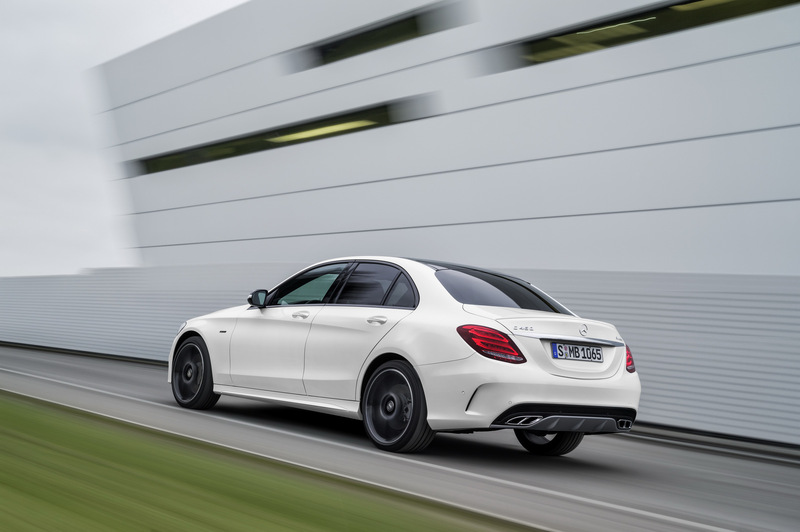 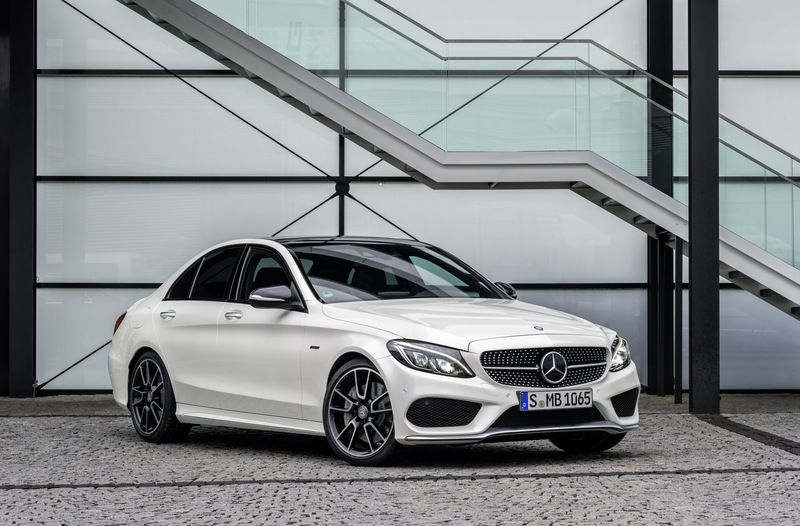 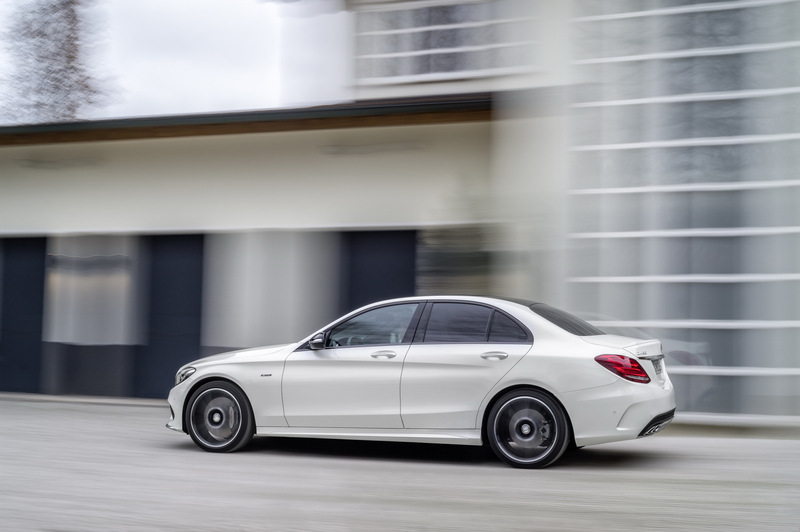 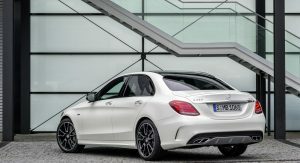 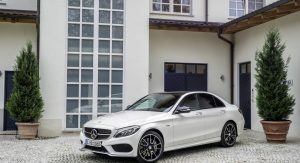 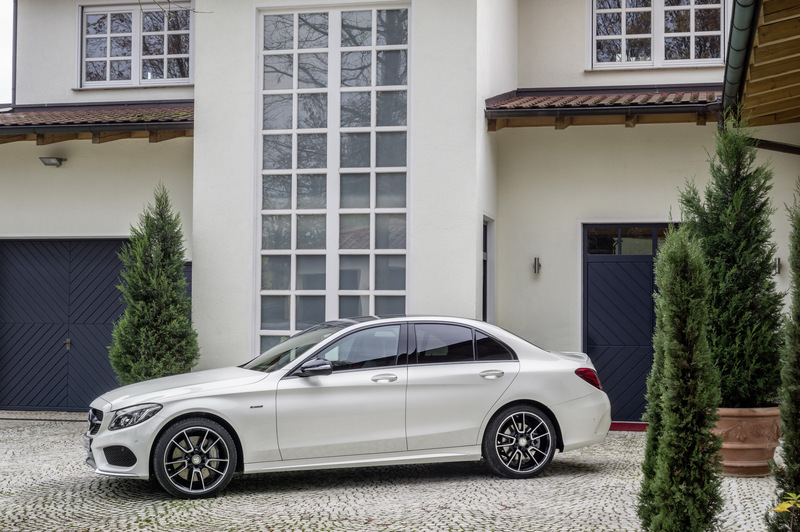 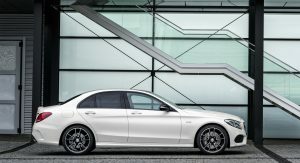 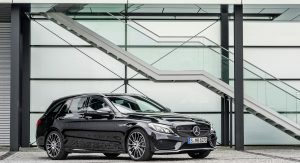 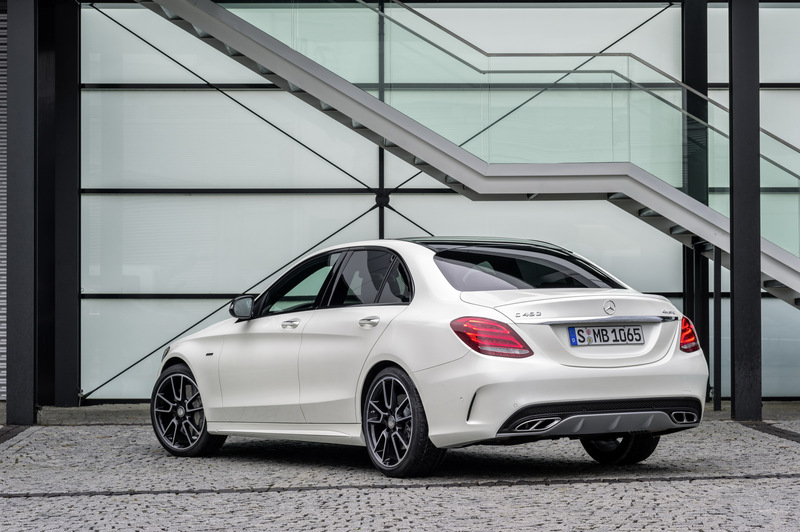 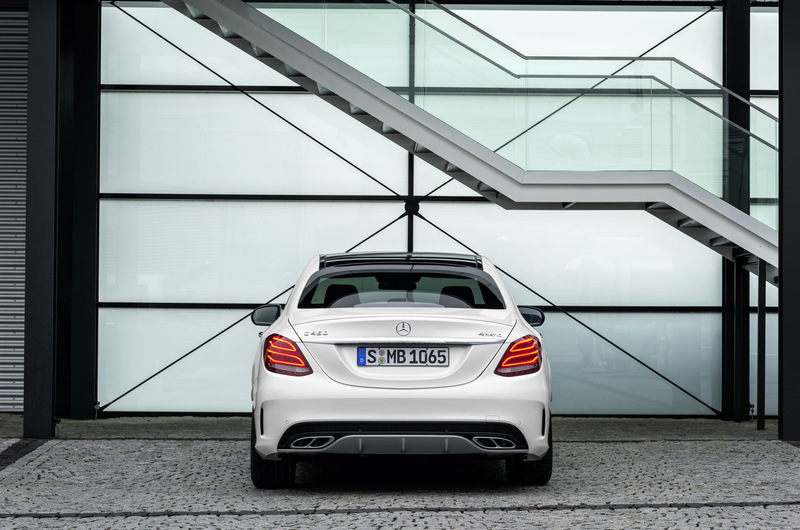 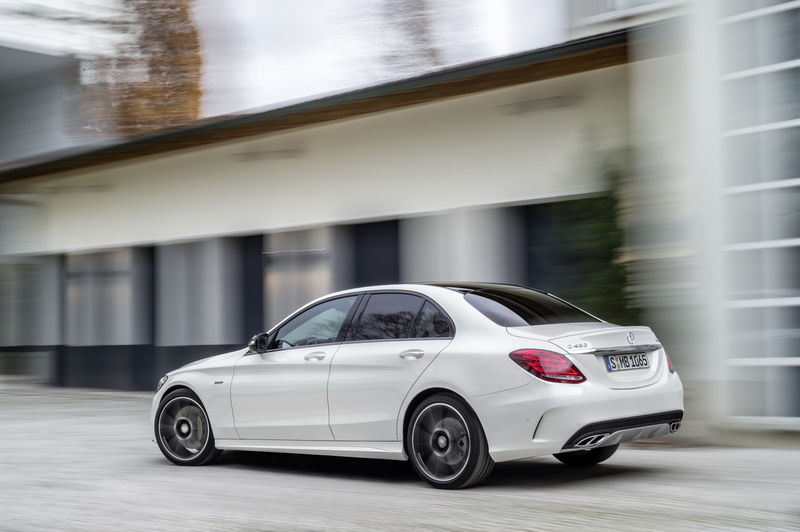 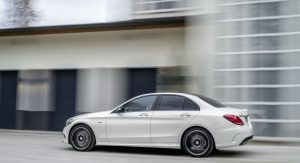 Going on sale in mid-2015, the C 450 AMG 4Matic is powered by a tuned version of Mercedes’ twin-turbocharged 3.0-liter V6 petrol engine rated at 362hp (367PS) at 5,500rpm and 382lb-ft (520Nm) of peak torque between 2,000 and 4,200rpm. 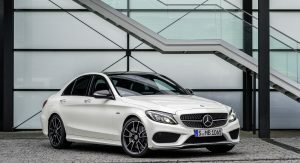 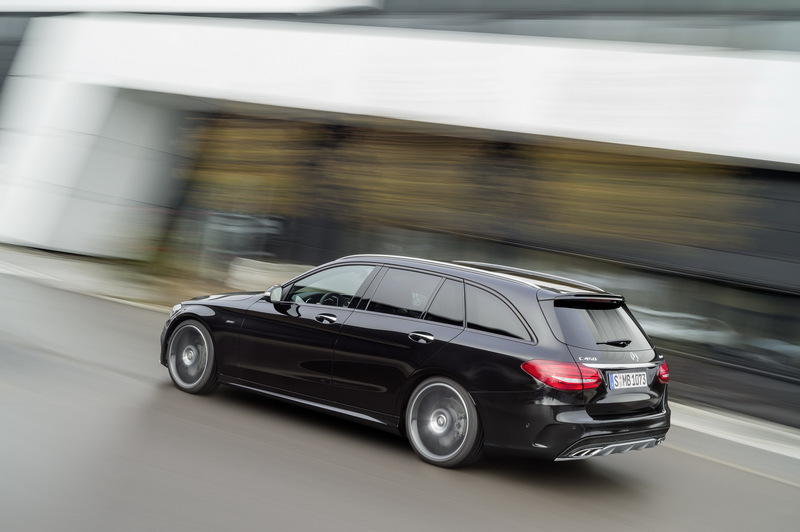 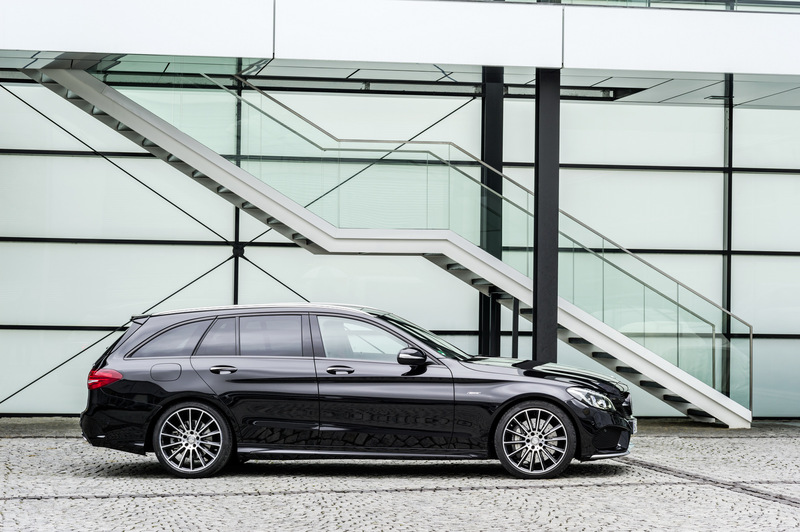 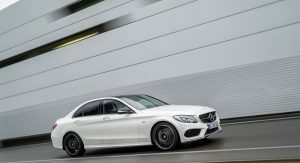 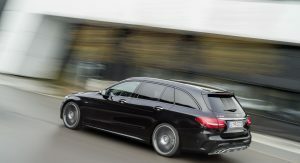 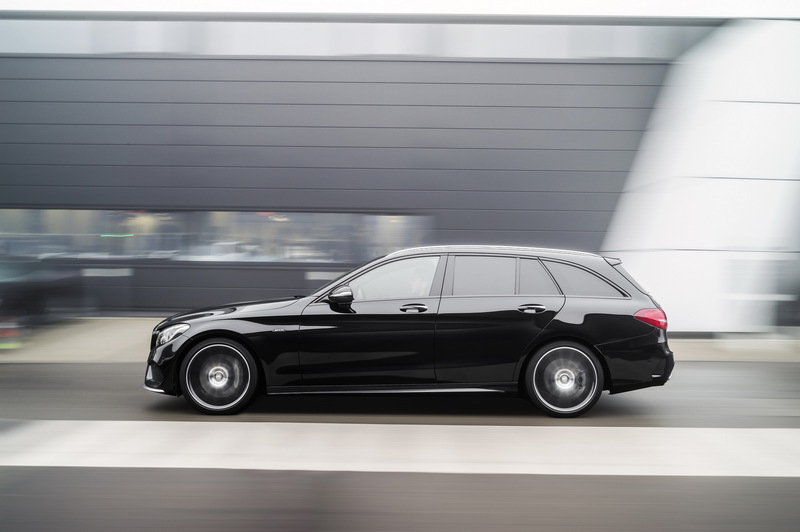 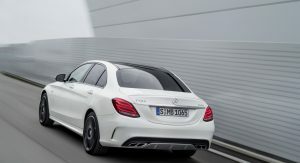 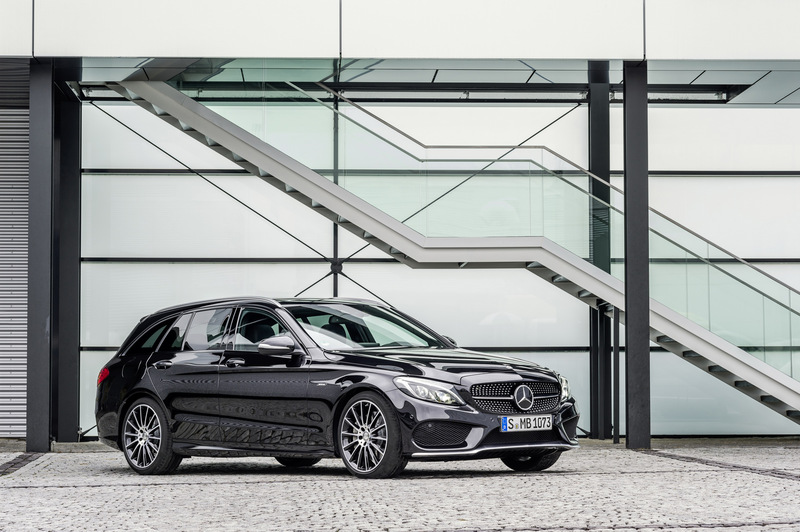 Paired to a modified 7G-Tronic seven-speed automatic and Mercedes’ 4Matic four-wheel drive system, the C450 AMG 4Matic sprints from 0 to 62 mph (100 km/h) in 4.9 seconds (sedan) and 5.0 seconds (estate), with an electronically limited top speed of 155mph (250km/h) for both body-styles. 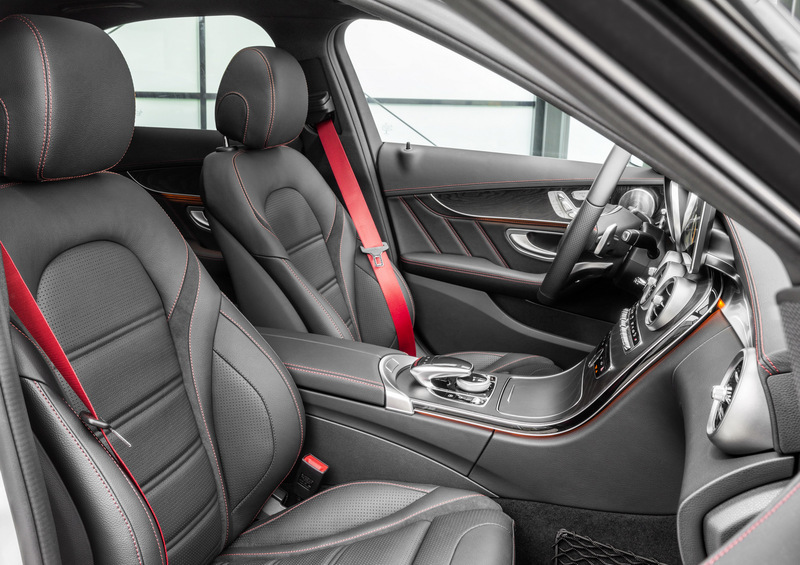 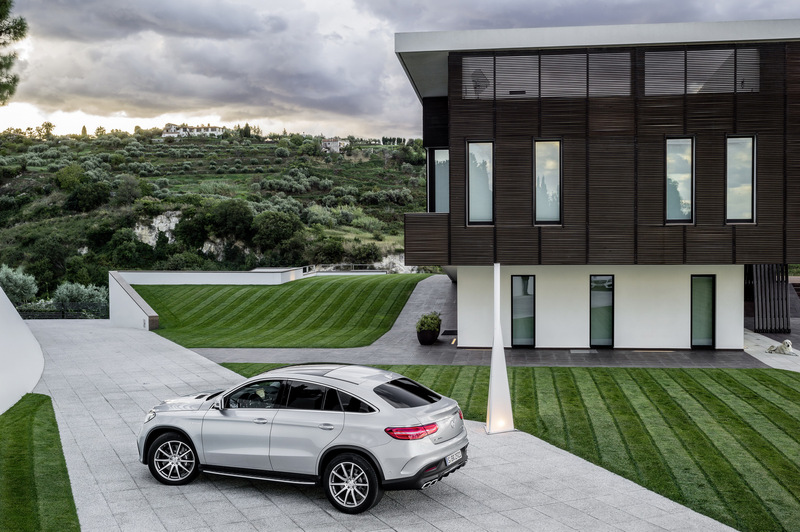 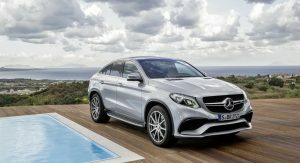 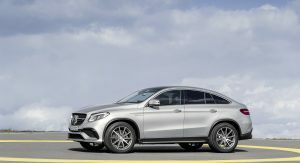 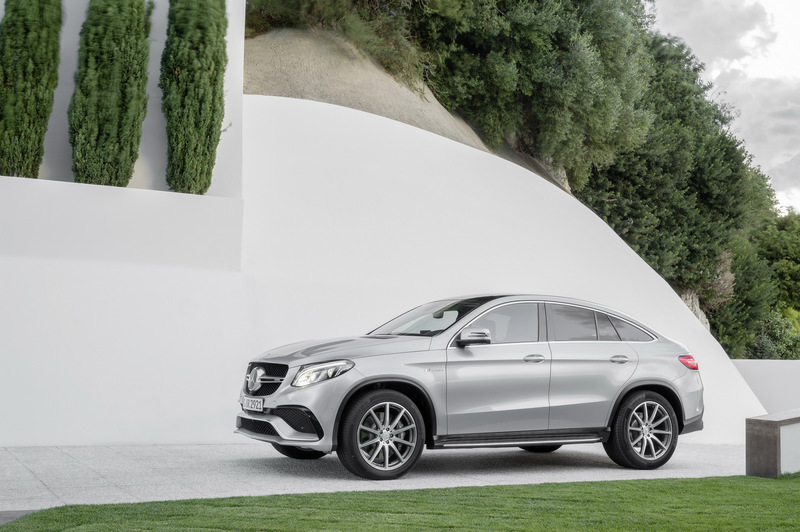 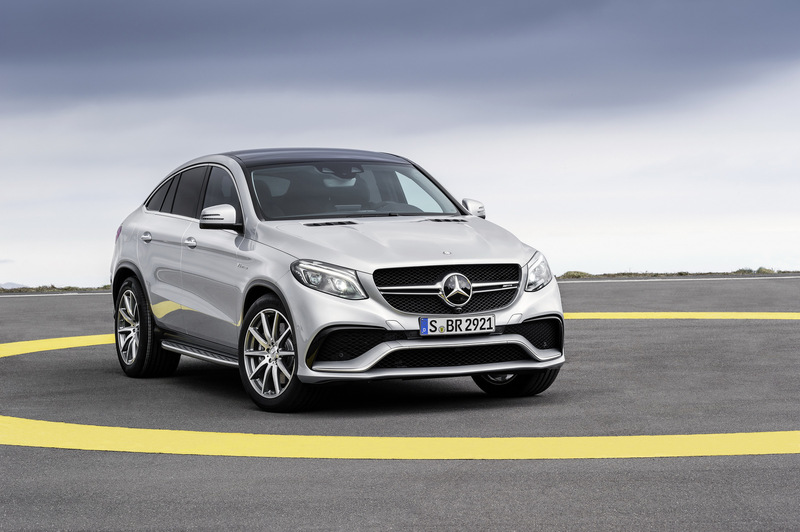 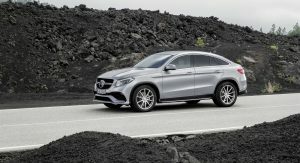 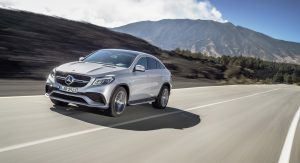 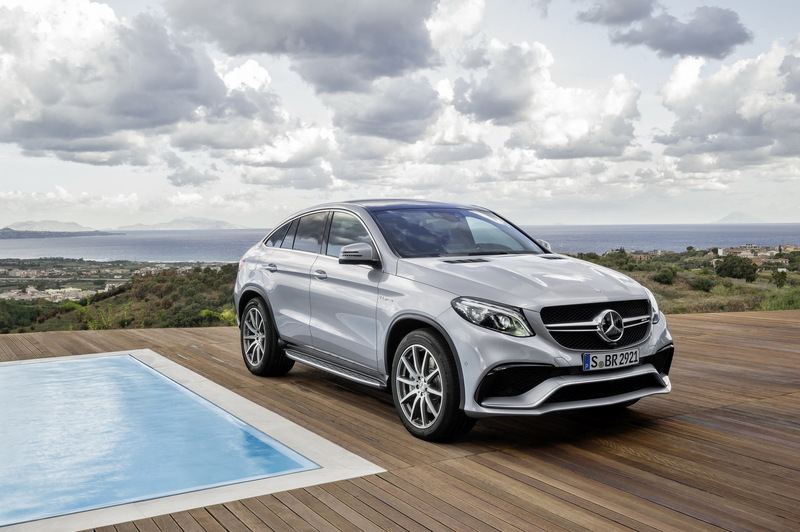 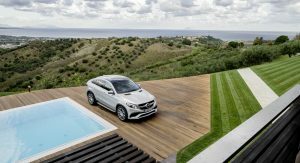 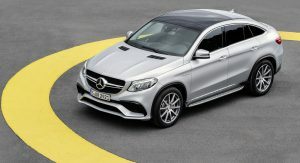 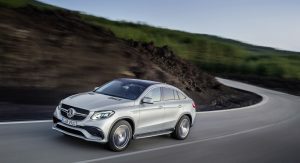 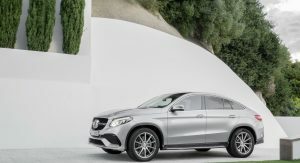 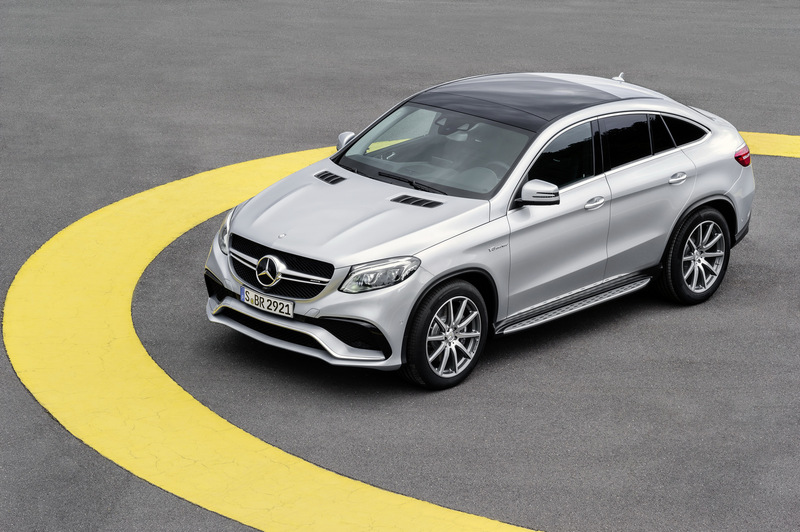 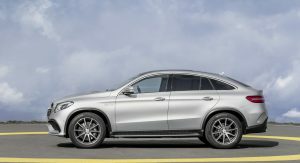 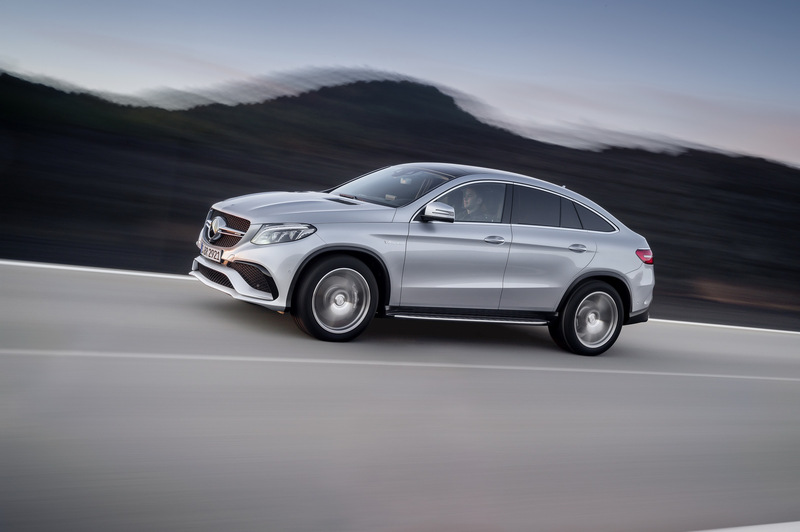 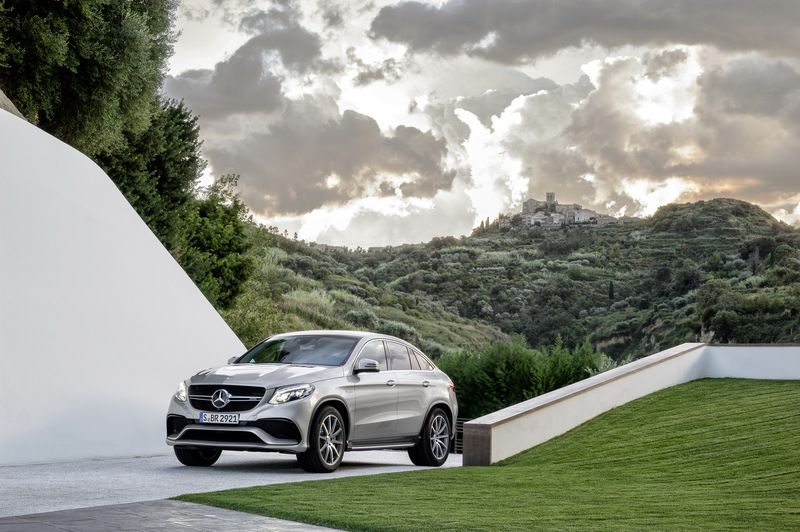 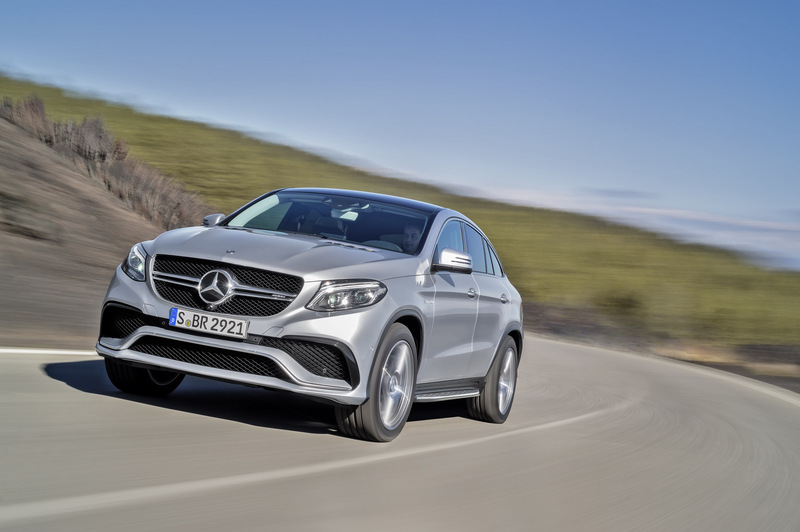 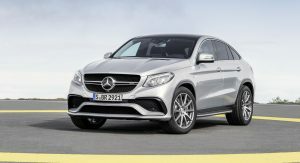 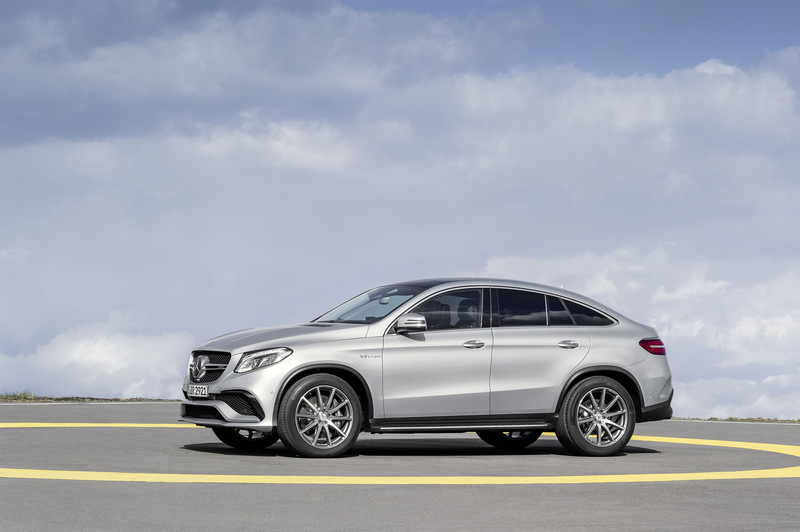 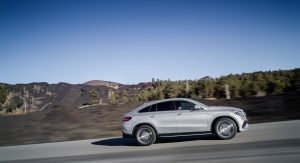 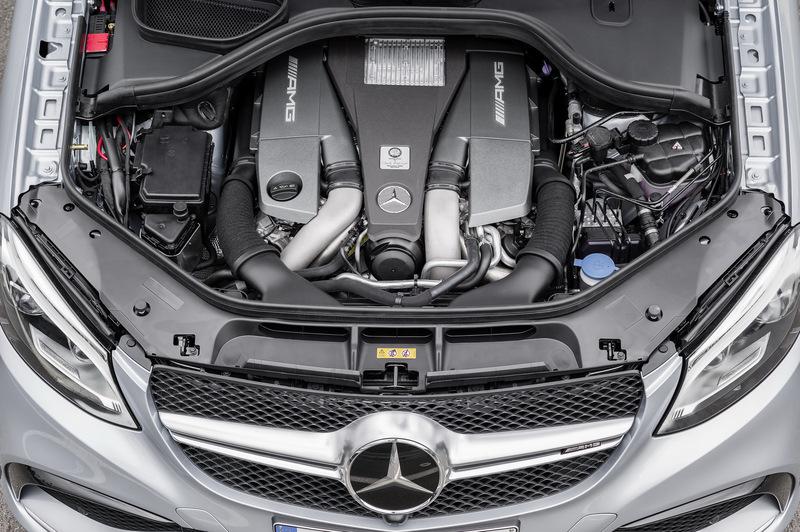 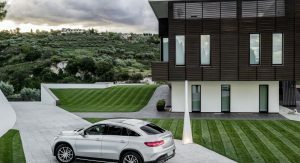 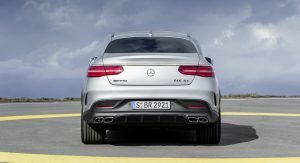 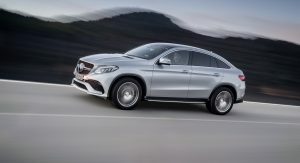 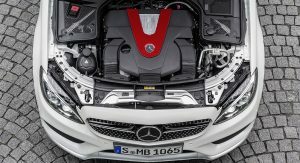 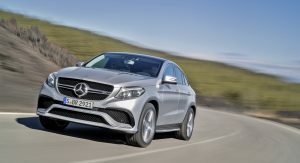 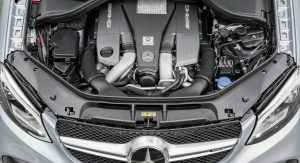 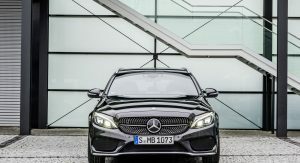 As for the Mercedes-AMG GLE 63 Coupe, it is powered by a 5.5-liter twin-turbo V8 that produces 549hp and 516lb-ft (700Nm) of torque in the standard model and 577hp and 561lb-ft (760Nm) of torque in the GLE 63 S Coupe. 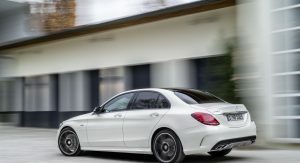 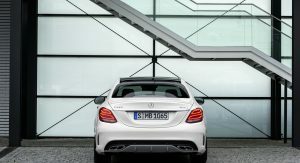 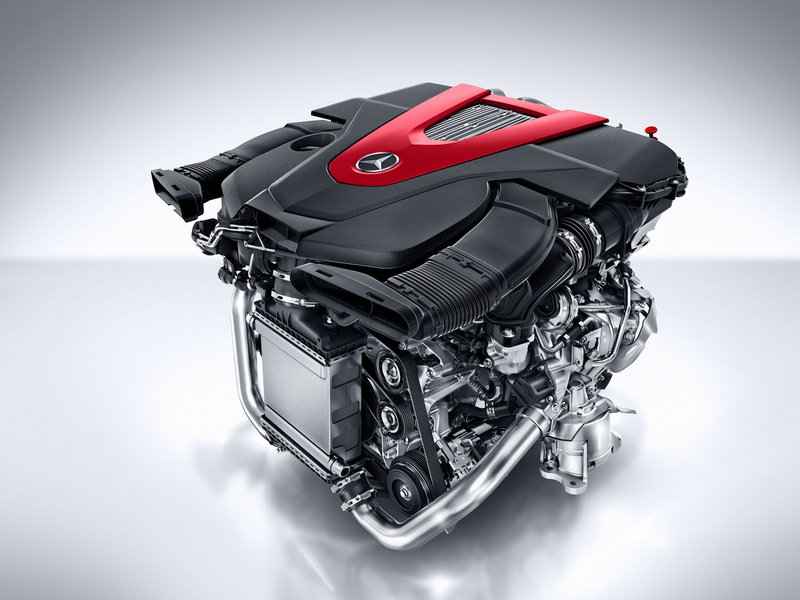 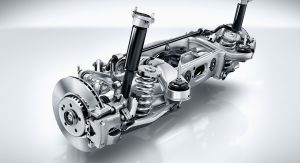 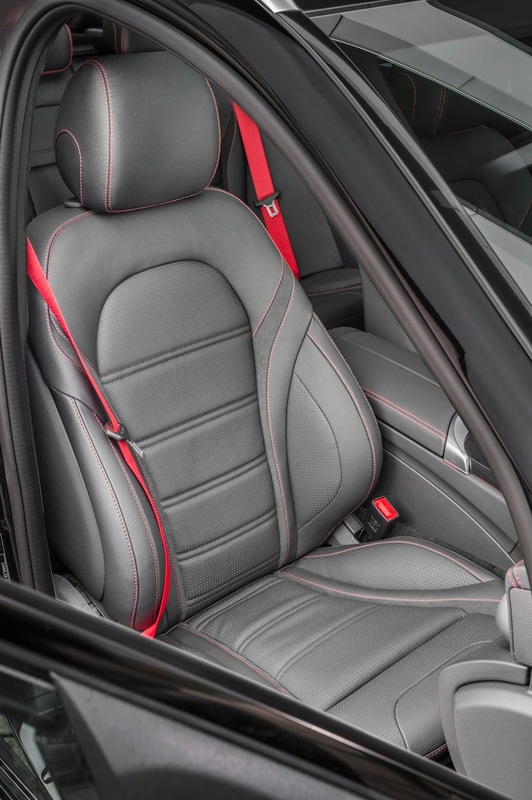 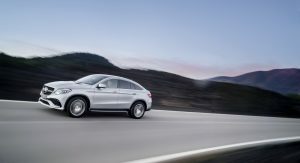 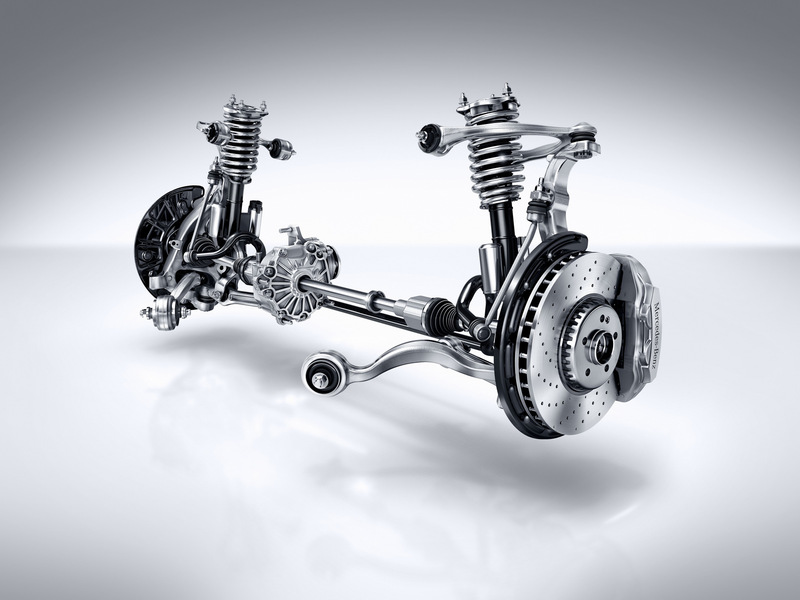 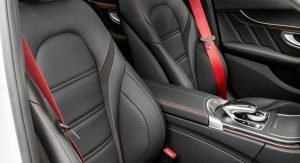 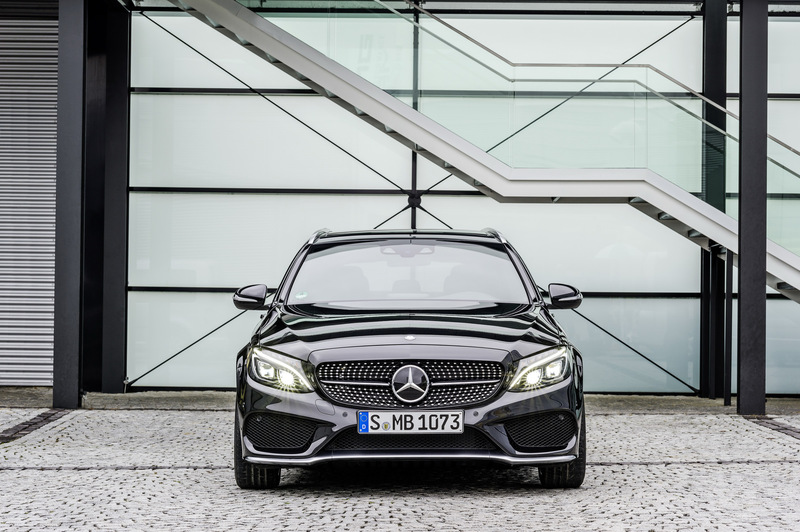 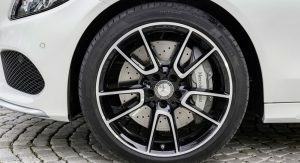 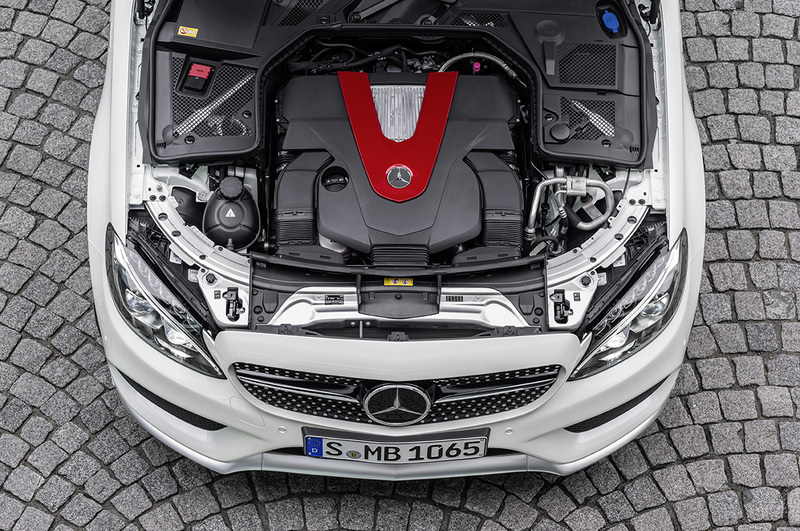 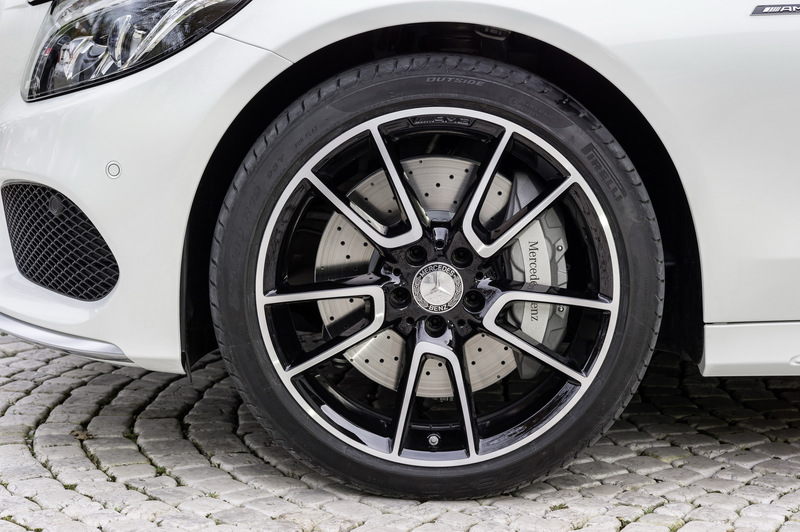 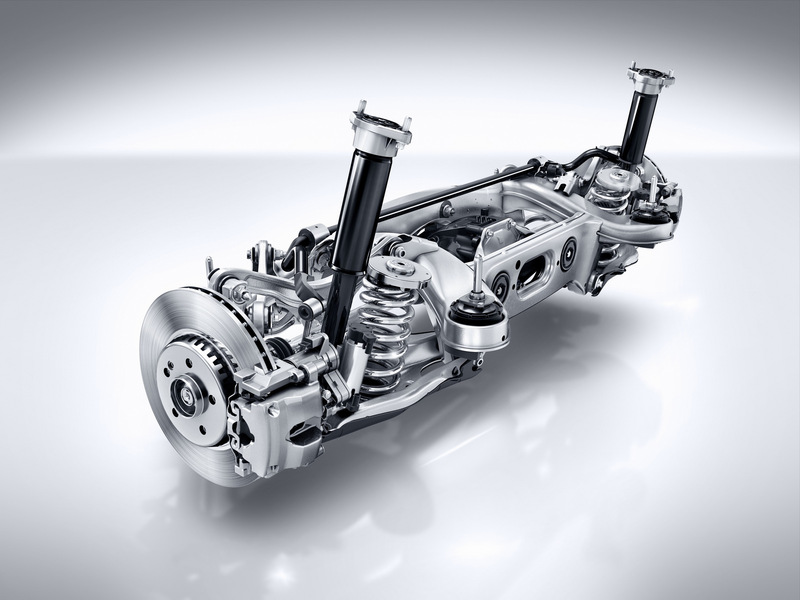 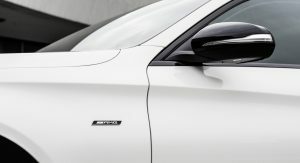 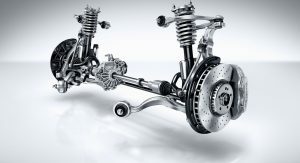 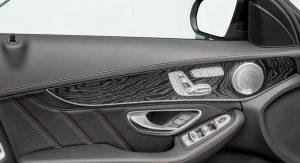 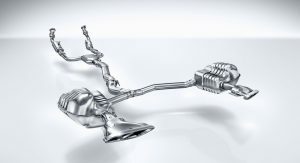 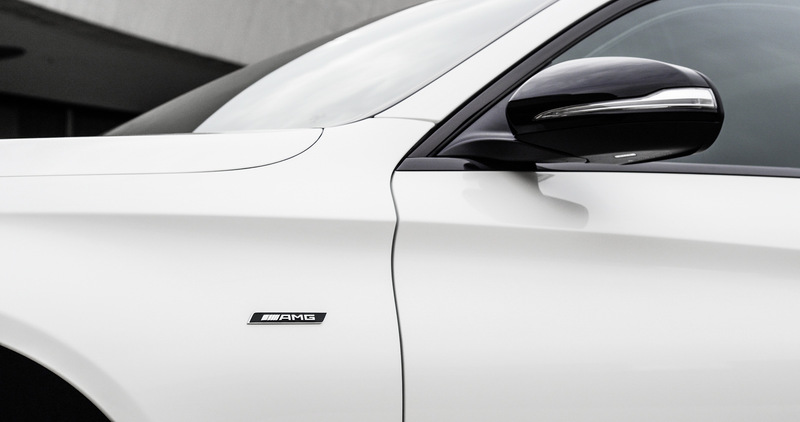 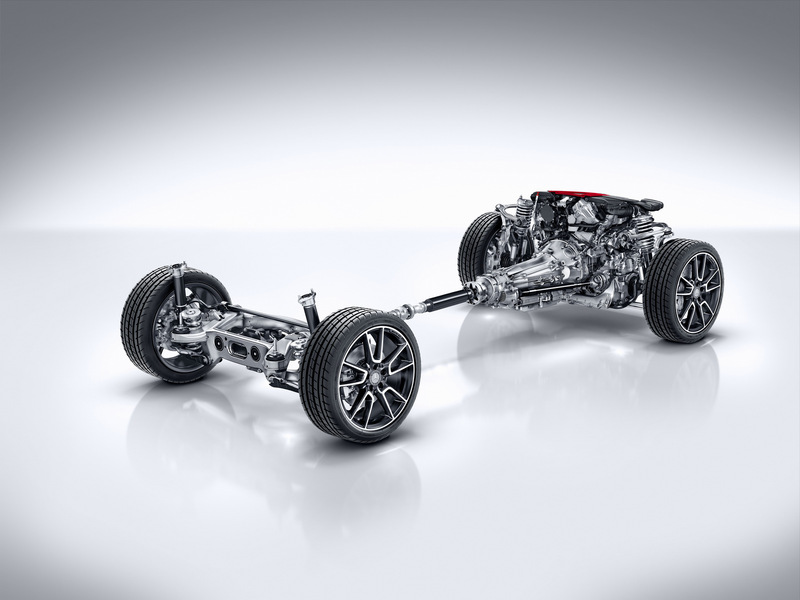 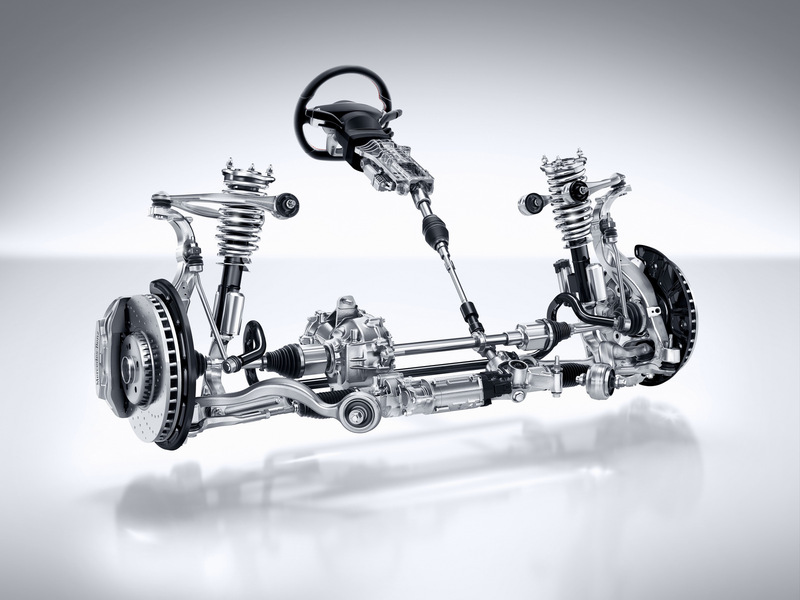 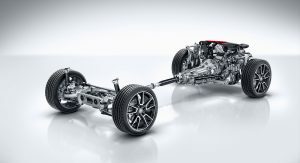 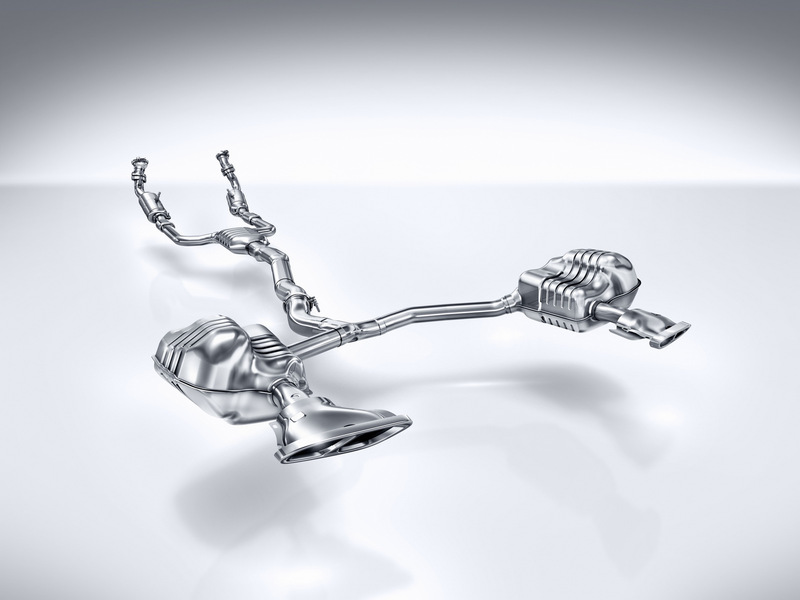 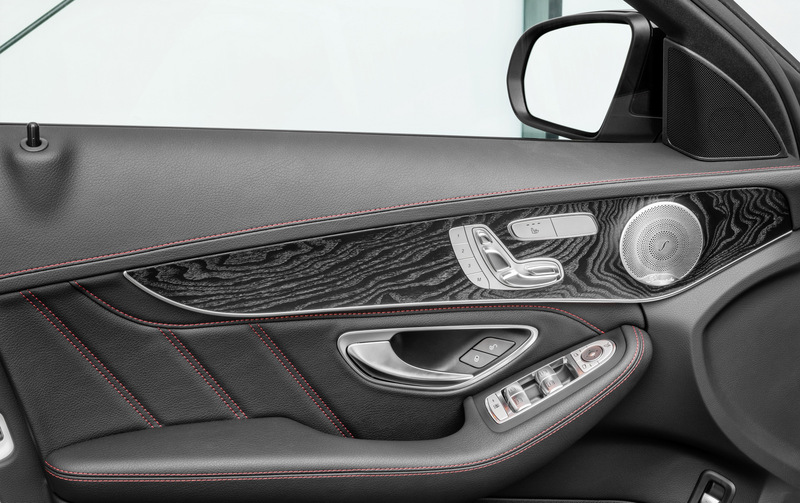 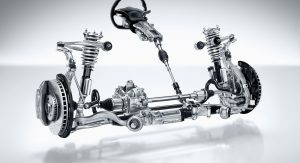 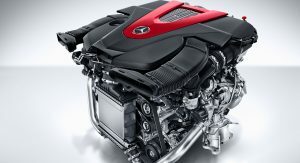 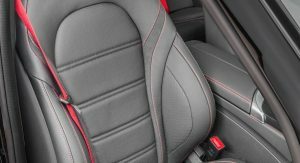 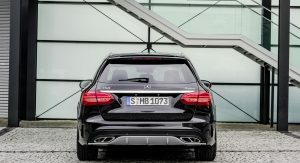 Both versions use a 7-speed automatic transmission and the AMG Performance 4Matic permanent all-wheel drive system with rear-biased power distribution (40:60 front-rear). 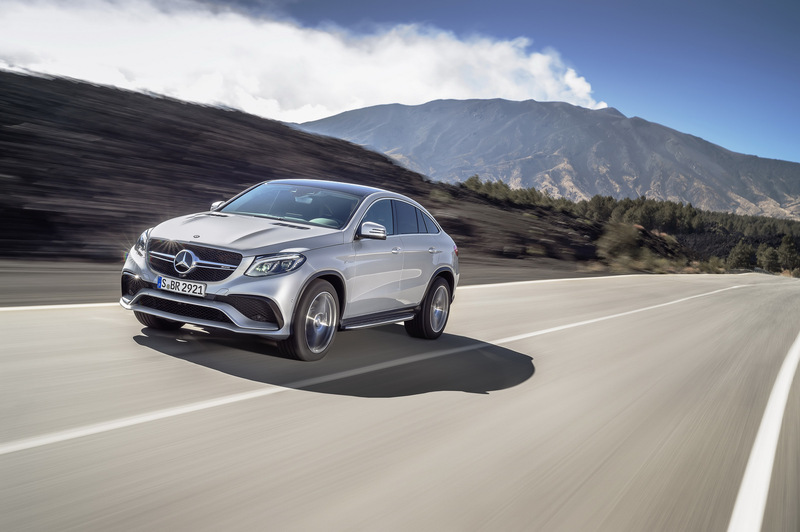 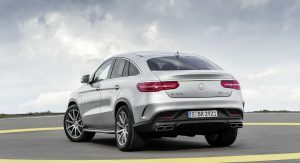 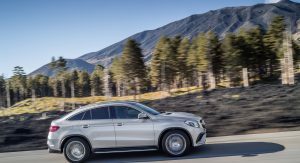 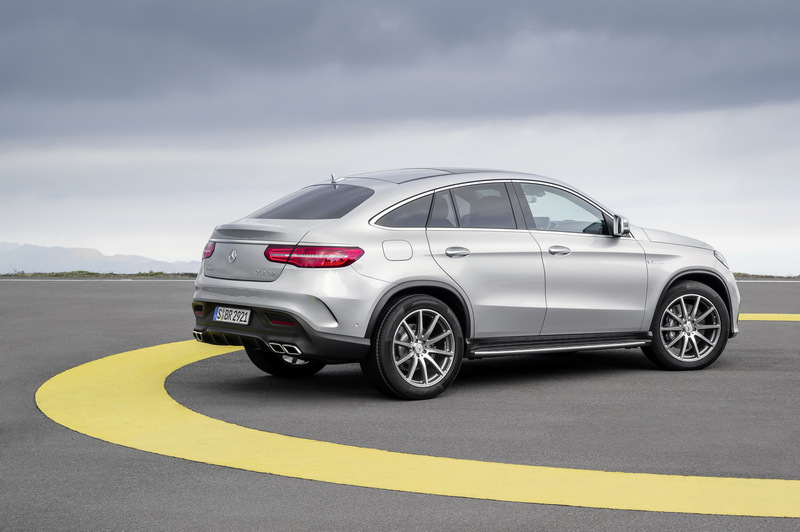 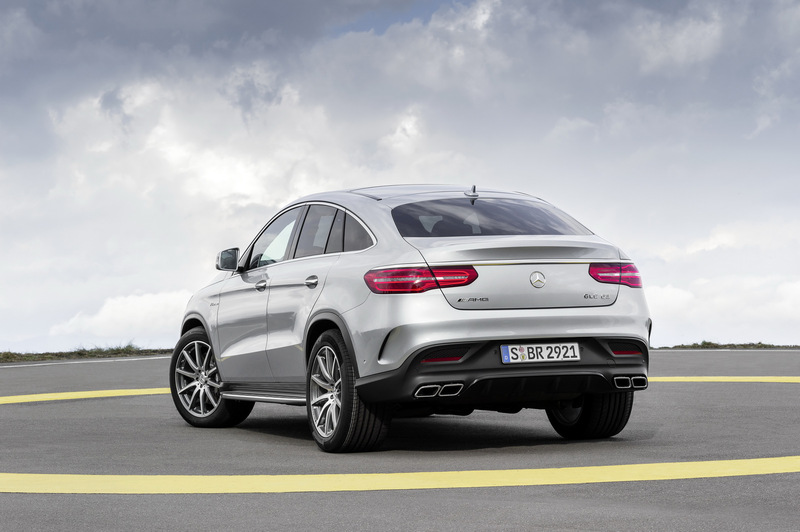 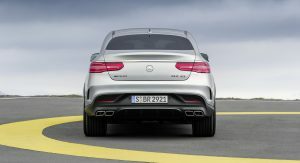 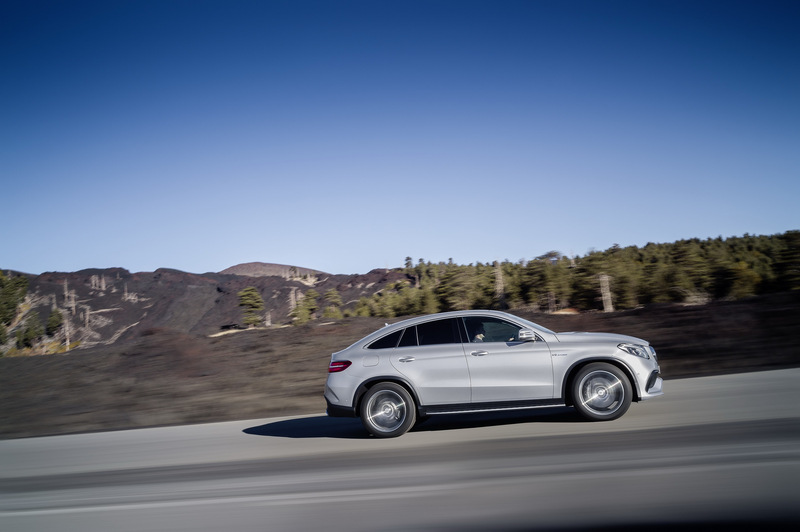 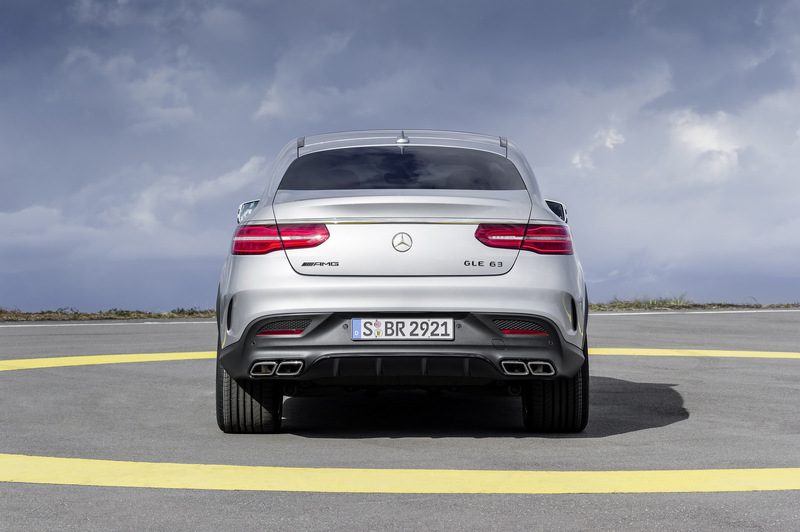 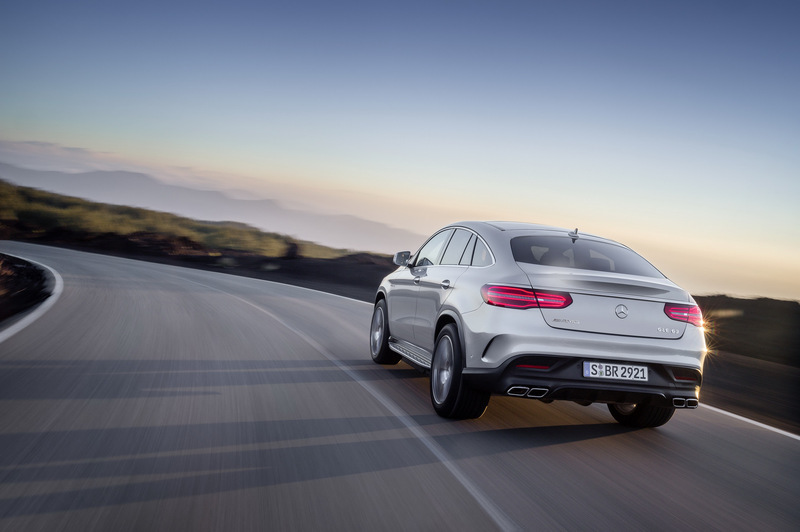 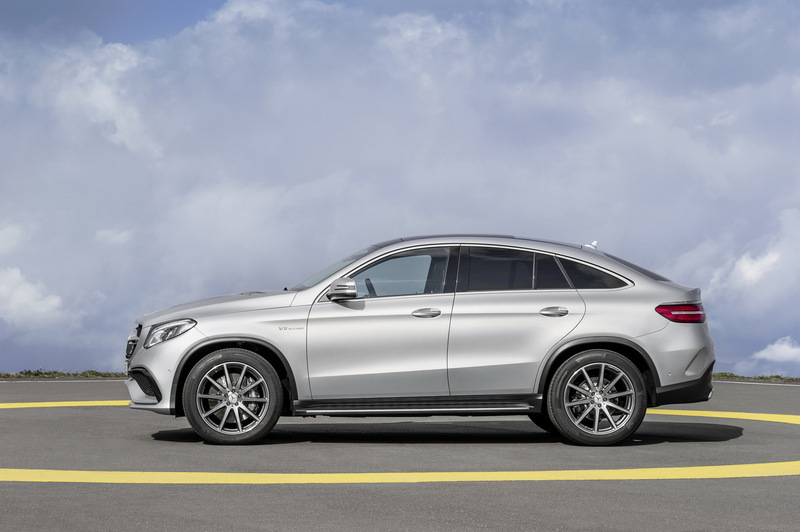 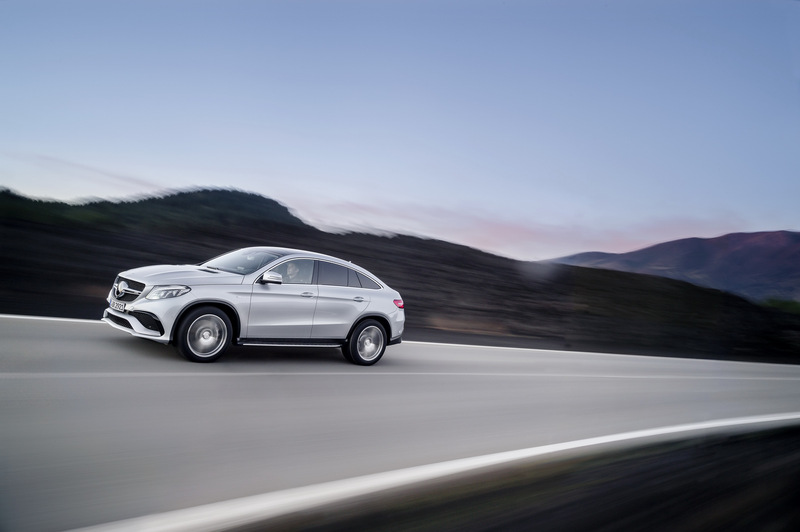 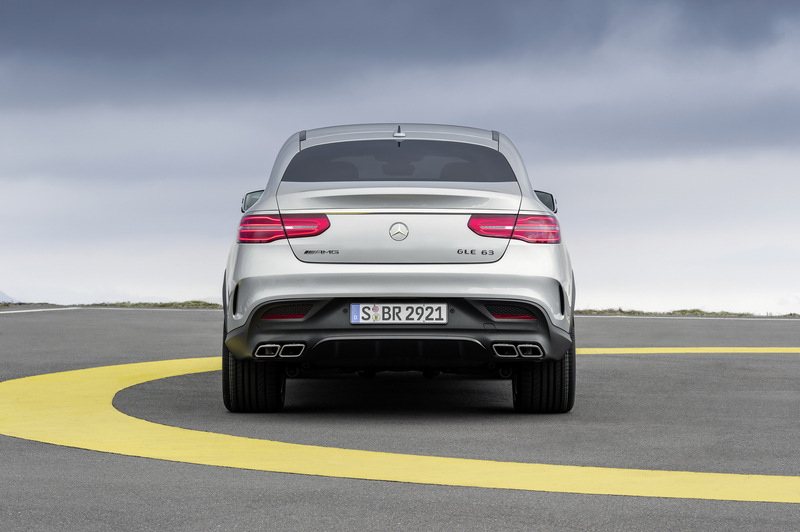 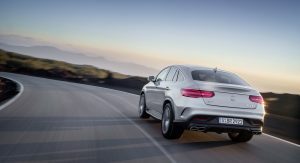 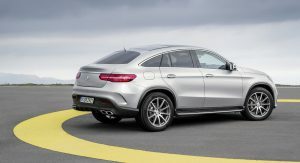 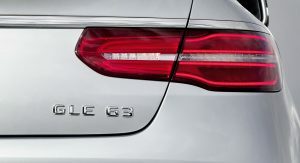 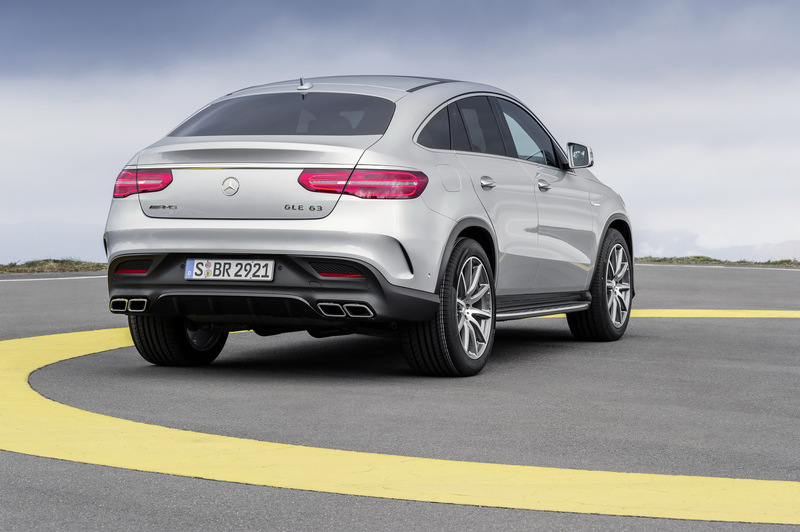 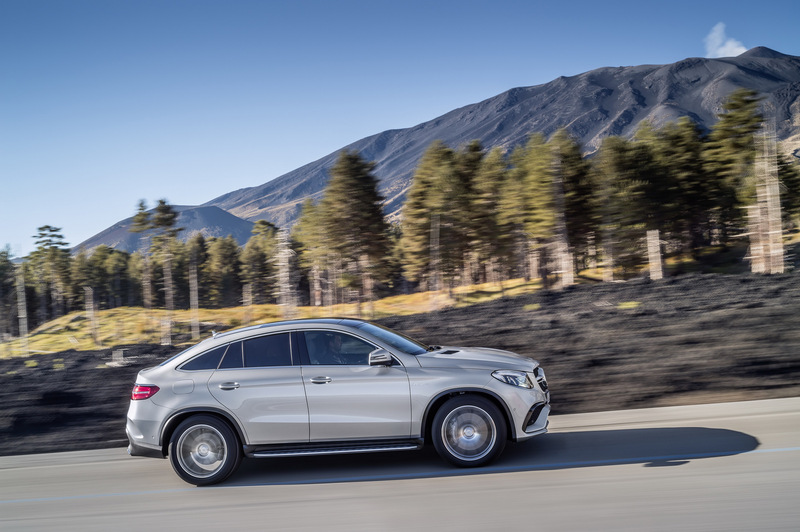 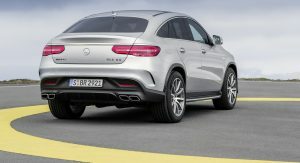 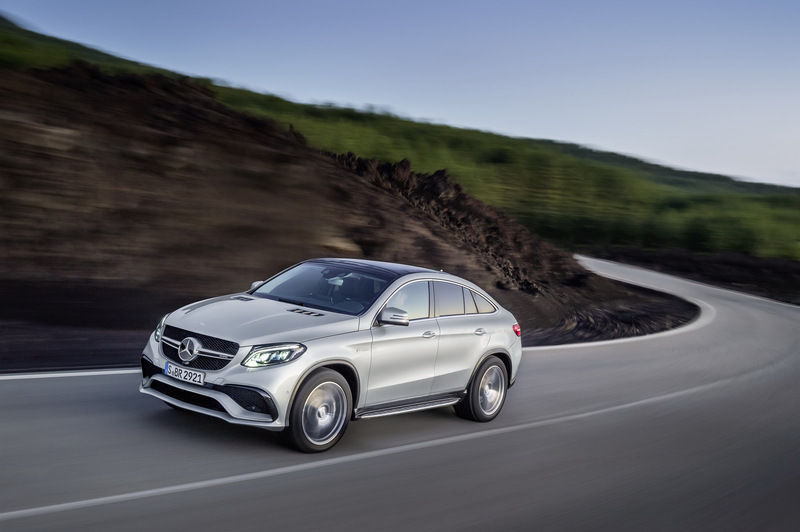 The GLE 63 Coupe S sprints from 0 to 62mph (100 km/h) in 4.2 seconds, making it 0.2 seconds slower than the new 567hp (575PS) BMW X6M, but 0.1 seconds quicker than the standard GLE 63 Coupe. 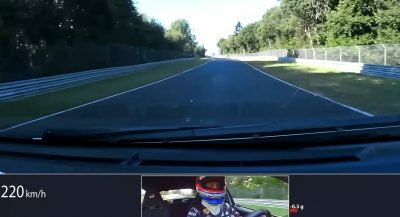 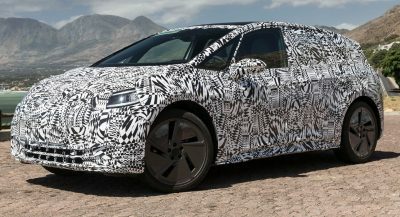 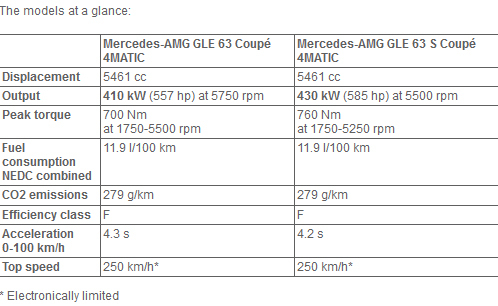 Top speed is electronically limited to 155mph (250km/h). 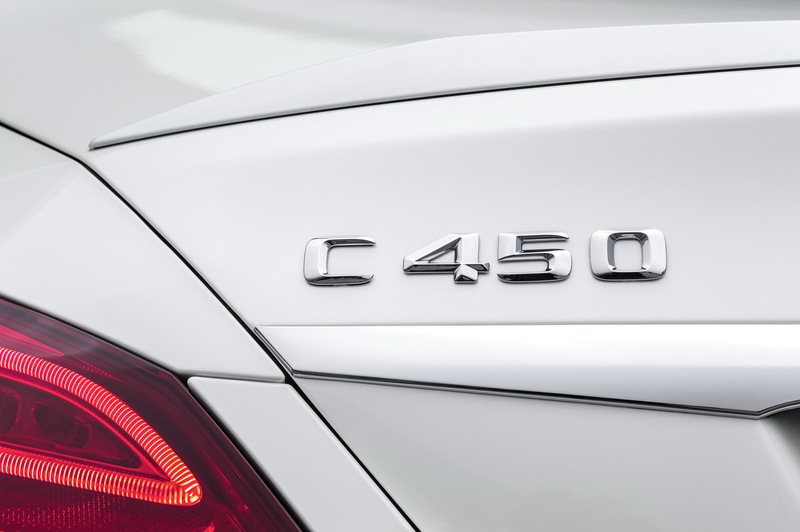 Slotting between a C400 and C63, this C450 strikes the right chord with a perfect blend of design and performance. 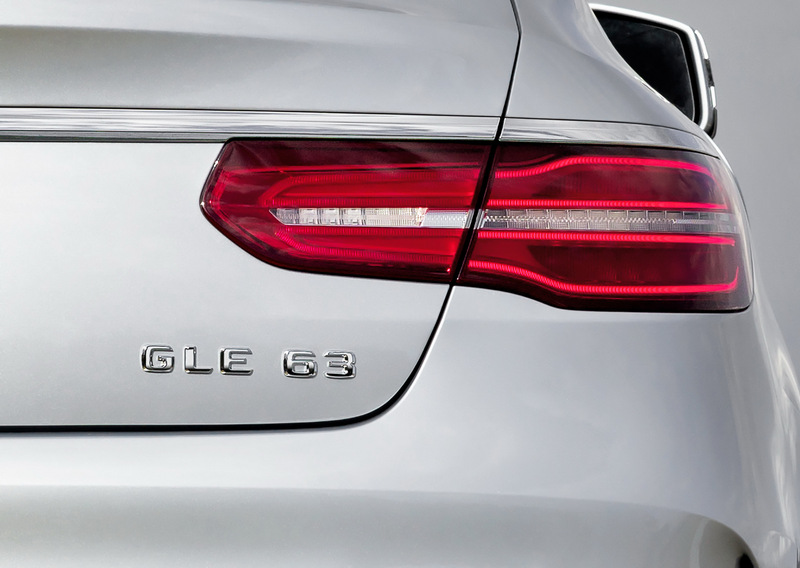 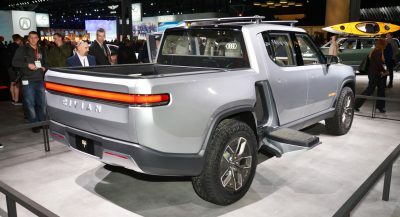 Should be avail by Summer of this year – perfect timing.